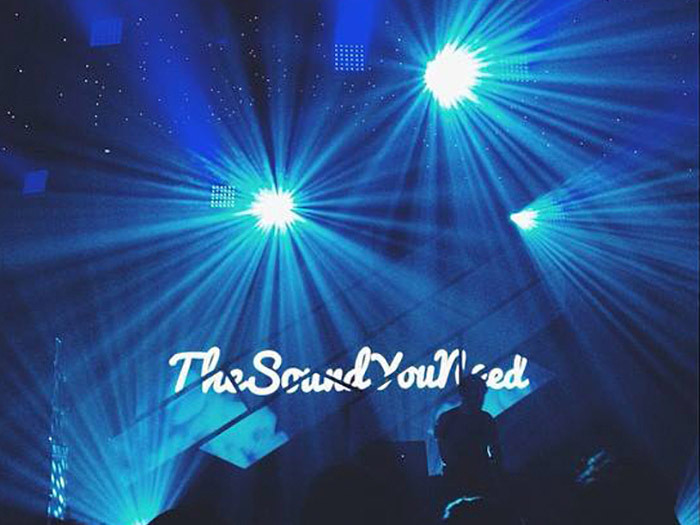 TheSoundYouNeed (TSYN) is a music discovery Youtube channel that was created in December 2012 during one night of fevered activity as Olivier Dutertre transferred his SoundCloud playlists to YouTube. With his own abstract visual aesthetic and smartly tailored design, TSYN offers warm, sensual mixes that move easily between deep house and exploratory electronica. Three years later, it has over three million followers. Last summer Olivier partnered with UK-based AEI Media, the cross-platform media giant behind UKF, Drum&BassArena and Subsoul. 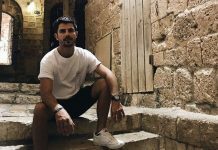 From there TSYN went to the next level, releasing a compilation album and putting on huge parties in Europe and Australia. Growing up in France (now splitting his time between London and Lyon) Olivier became an online entrepreneur when he was 14, selling self-designed Facebook pages with hundreds and thousands of ‘likes’ to advertising companies. He went to business management school but left after two months, creating TSYN shortly thereafter. His ambition is now to run his own label and put on ‘beautiful events’ featuring artists of his choice. He’s already halfway there, promoting TSYN events in the US and having curated the Paradise Stage at this year’s Sea Dance Festival. Festival Insights spoke with Olivier at AEI’s London office, about how to better bring together the festival industry and the internet, how hands-on he likes to be with his own events, and how the changing terrain of the music landscape has affected festivals. Festival Insights: How do you think festivals can better bridge the disconnect between their own programming and digital platforms such as TheSoundYouNeed? Some examples of this happening already include TYSN programming a stage at Sea Dance festival in 2015, and The Isle of Wight Festival bringing in several ‘YouTube artists’ to perform at this year’s event. Olivier Dutertre: I haven’t given a great deal of conscious thought to it to be honest with you. The obvious approach is to have blogs or media platforms curate a stage at a festival, which obviously a common phenomenon. But I’m not entirely sure whether most of these partners are actually choosing the line-ups themselves, or whether they’re just branding it. FI: I’ve been to a few festivals in which the latter is the case. OD: Right, well speaking from personal experience, brands have trusted us with artist selection, instead of just asking us to slap our name on there. I think it’s important to actually allow these brands to choose the acts. Little extra things could be done too. A lot of festivals have certain almost self-contained areas within the site, like clubs, lounges, bars, and so on. External partners could be brought on board to affect the décor, the music, the drinks, the merchandise and properly introduce their own set-up, like an island inside of the grounds. FI: Music Week conducted a study in July that revealed major UK music festivals have only created four new headline acts over the last decade. There’s a palpable sense that festivals are repeating themselves too often in terms of programming. Do you think bringing on external creators a sure-fire way to keep things fresh and innovative? OD: Maybe not sure-fire, as promoters still operate within a sphere; they’re all in contact with a lot of the same blogs, and know the same agents and artists. If you’re successful within our industry you do tend to have a wider and deeper knowledge of contemporary music than the competition though, so I suppose it’s about working with the right curator. If I were to have my own yearly festival I would rarely book the same headliners. An artist’s show doesn’t change that radically from year to year. You don’t want to see Kanye West at Glastonbury next year, for example, regardless of how much you like him. If there was a smaller artist on a smaller stage you wouldn’t mind seeing them two years in a row, but there are raised expectations for headline bookings. It’s more difficult to introduce variety at that level if you’re a major festival, as there are only so many viable names go around, so I sympathise. Smaller festivals have an advantage in this way; there’s more freedom to manoeuvre and those are the festivals that external promoters and partners can bring the most value to. FI: As festivals and TSYN are both essentially discovery platforms, do you think festivals have a responsibility to faciliate the upwards mobility of smaller artists? OD: Well some festivals set out to do exactly that, but I don’t think ‘regular’ festivals feel that responsibility. TheSoundYouNeed and other digital discovery platforms absolutely do have that responsibility as it’s what we explicitly set out to do. I think it happens naturally at festivals by their very nature. FI: Not to undermine your intent or hard work, but it seems that some of TheSoundYouNeed’s success can be attributed to a series of happy accidents. Do you think that’s a fair estimation? OD: I wouldn’t call them accidents, but there certainly wasn’t a grand plan at the beginning. Growth felt very gradual and natural. I knew what I needed to do step-by-step: curating, designing, contacting people, and more and more doors opened as we progressed. I had my own way of doing everything that differed from other people. People always ask me ‘when was the moment you knew it was a success?’ But I never had that ‘wow moment, except for maybe hitting a million subscribers by the end of 2013. My expectation was to maybe surpass 300,000. Once we’d achieved success on YouTube I knew we had to expand past that for our artists. Every entity has its own goal or founding value: Apple’s may be to change the way we communicate, if that’s not to cheesy or utopian of a summary. Ours is to help artists do more with what they have. I don’t make events for the sake of it, I do it to push artists forward in an effective way. Plus, it’s fun. The relationships between myself and the artists we work with have improved by virtue of being able to meet them too. FI: Now you are in this great position do you have more of a long team game plan? OD: Kinda. In terms of ideas, yes. I have projects in the pipeline but they’re always in development so I can’t say where we’ll be in five years. Platforms are always rising and falling, the landscape is always evolving. Having fun is paramount to me. I’m doing branded longboards right now, for example. It’s always going to be like that: helping artists, doing things I want to do and enjoying myself. FI: So aside from the aforementioned curation of the Sea Dance stage, has TheSoundYouNeed been involved with any other festivals? OD: Yeah, the first ever one I curated was Festival Panoramas in Brittany, which is where I grew up. Bondax, Cashmere Cat, N’to, and Claptone on the line-up. It was huge for me; 5000 people. Then I curated standalone events for a while, mainly produced by others. For me a lot of those were about discovering how the whole process worked. I never studied anything music or event-related so I needed that experience of being a spectator. 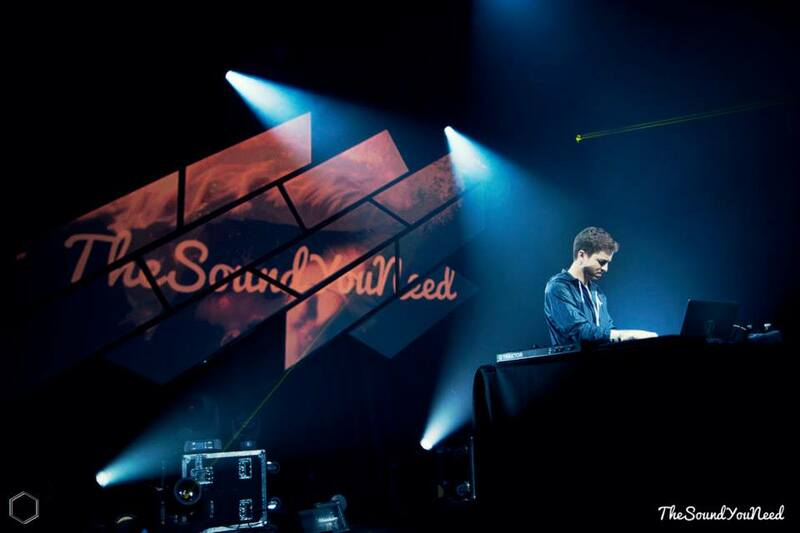 I started producing events in Belgium after that, as well as curating them. Paris Festival was a co-production between TSYN, my French colleagues and AEI. I worked with the French guys back when I only had 2000 subscribers. They were happy to put me on their flyers for shows with my artists, and eventually it led to us putting on the Paris Festival last March. 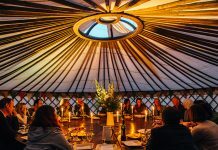 FI: What are the core ideas behind the Paris Festival and the other TheSoundYouNeed events? OD: So each video on my channel is simply a song with a beautiful background. The events are similarly simple: great line-ups in beautiful locations. That’s what everyone wants but I try to take that even further. TSYN has a very fancy, abstract aesthetic and I try to put that effort into festivals in selecting locations. One was a rooftop with a massive glass wall, affording attendees a beautiful view of Paris. One of the stages was a metal tree, another was in a tunnel with real immersive lighting. Every venue has to be artistically interesting. A sense of place is really important to us. FI: I take it you have a very hands-on approach with these events? OD: The guys I know in Paris will scout for and show me venues and then I have the executive choice. They took care of the logistics and build. Everything that’s fun is my domain; selecting the venues, acts, light shows, drinks, photographs, video footage. Most of the creative stuff. I work with those guys in Paris because we have the same mindset; neither of us are overly interested in money. I want to be very hands-on with the events I work on. The French events sphere can be pretty terrible, and I can say that as a French person. People there think just because they know Daft Punk they have a reason to be cocky. I had some difficulties in finding the right people to work with in Paris but the effort paid off. FI: As TheSoundYouNeed is such a runaway success in the digital realm, have you observed in which ways festivals can improve the way they approach social media and digital marketing? OD: It’s an interesting one because festivals only last a few days but have to keep audiences engaged year-round. My experience is quite limited with that particular phenomenon, so aside from the obvious things of sharing photographs, trickling out line-up announcements, sharing tracks of each artist playing, I don’t have too many ideas. Saying that, aftermovies and great photography are really important and feel some festivals neglect that or don’t do it as well as they could. People go crazy for amazing footage; it takes them back but also makes them look forward. I have a video from a 2000 capacity venue which has 300,000 views, simply by virtue of how beautiful the footage is. So success isn’t just about cultivating an experience, but about effectively demonstrating what it is. FI: Livestreams are interesting too, in the way they circumvent the physical limitations of festivals, effectively extending their capacities. OD: I agree. When we do livestreaming it’s only on the most ‘live’ artists. If branding and promotion is done right, it really pays off. When we made the event page for Sea Dance, entitled ‘TheSoundYouNeed On The Beach’, we had 128,000 people sign up to it in five days. There was nothing else on the page – no artists, nothing. I didn’t even invite my friends on Facebook. That’s the dream right there. FI: I suppose that demonstrates the advantage of going from an established media platform to the event space. OD: Absolutely. As a label, for instance, once you’ve signed an artist the biggest challenge is selling the songs. If I want to sell a compilation we’ve already laid all the groundwork; the audience is there.The same goes for events and ticket sales. When I made my channel I wasn’t keeping that in mind at all, but it’s nice that I’ve avoided that particular struggle. FI: How do you think the rapid digitisation and arguable democratisation of the music industry has impacted festivals? OD: For better or worse, people’s access to music has totally opened up and of course festivals understand this. More people go culturally deeper into music than before. If an artist like Flume, Bondax, Mr Carmack, Sango, or Lindsay Lowend would have made music ten years ago they probably wouldn’t have done as well; maybe not because of their sound but in how rapidly they like to put out music. Now instead of waiting to release an LP through a label these artists can just throw tracks on Soundcloud, for instance. Today an artist can be small and attract more people to an event because their music is more exciting and ‘relevant’. That’s my experience. People know more music, but they’re fragmented into little niches. It’s made it more difficult and easier at the time, but fundamentally more interesting. Music is more complex nowadays.